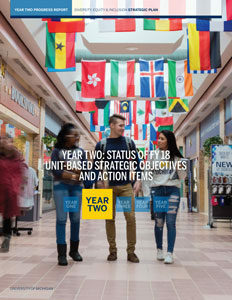 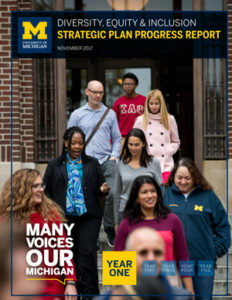 Each year, the University of Michigan creates an annual report in effort to both support the work over the previous year, and provide transparency in its five year, DEI Strategic Planning Process. 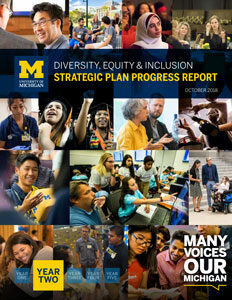 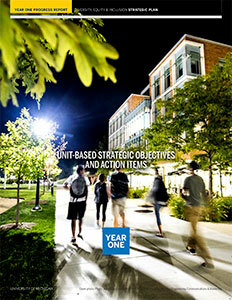 To learn more about the progress of U-M’s DEI efforts, select a corresponding report below. 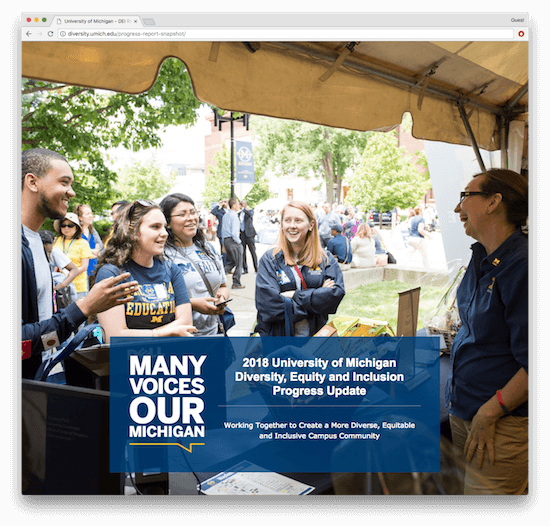 In support of the unit-level efforts, a cross-section of the U-M campus has highlighted their progress in the video series, “Defining Excellence: Michigan’s Commitment to Diversity, Equity & Inclusion,” which includes an introduction from Vice Provost for Equity & Inclusion and Chief Diversity Officer, Robert Sellers.